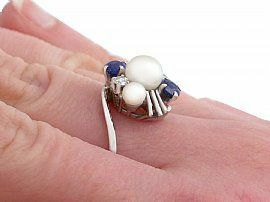 This fine and impressive vintage pearl and sapphire ring has been crafted in 18ct white gold. The unusual twist design is ornamented to the centre with a feature 7mm cultured pearl, flanked on either side by a smaller 4mm cultured pearl. 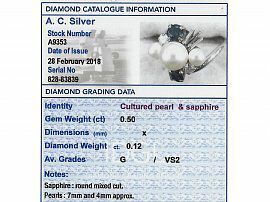 Three diagonal linear settings emanate from the central pearl to either side. 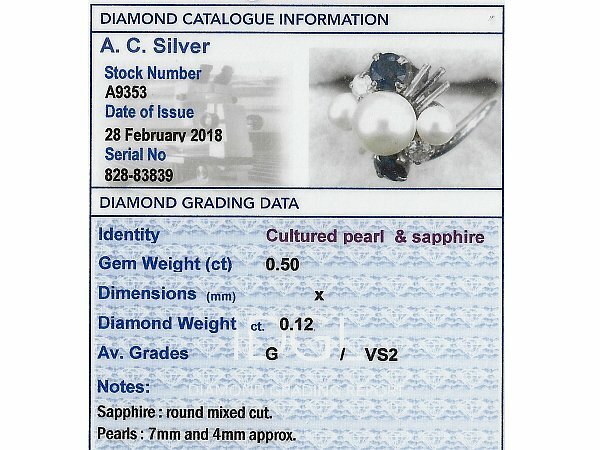 The upper and lower borders of the design are embellished with an individually four claw set round mixed cut sapphire and transitional modern brilliant round cut diamond. 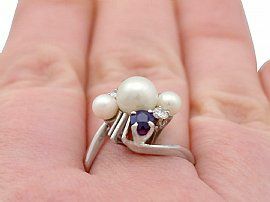 The twist design shoulders integrate with the main setting and blend seamlessly with the plain ring shank. 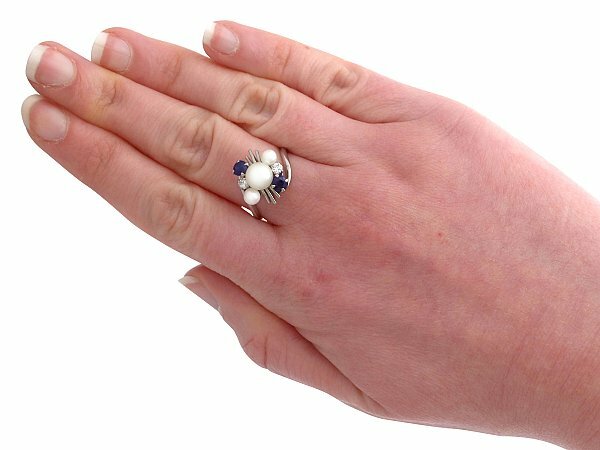 This unusual vintage dress ring has been independently tested using state of the art technology (Niton XL2 Analyzer) and verified as 18ct gold. 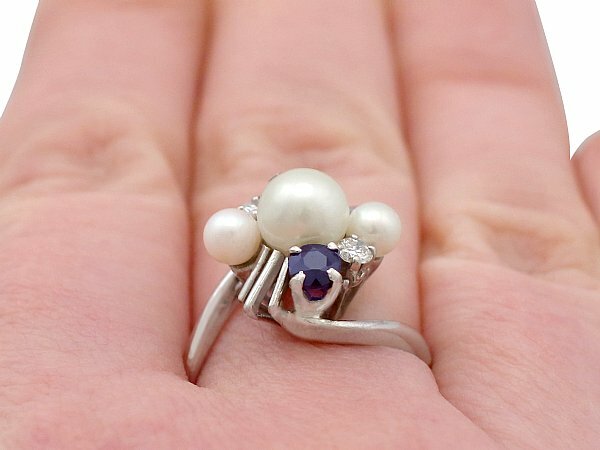 This impressive vintage 1970's dress ring is fine quality set with cultured pearls, blue sapphire and very well colour matched, very high colour graded old cut diamonds.